A Great Choice for Your Trip! It has a nice layout inside and a vey nice appearance from the outside. 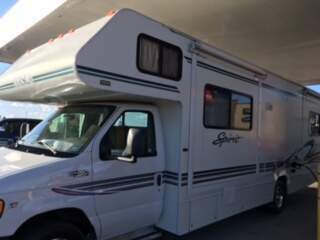 The RV is in great condition, has had no accidents in the past, and everything has been well maintained. You will need for 2 5/6 ball And brake and light Pig tail package. Recently redecorated with a French theme, this travel trailer's queen bed is outfitted with sheets, a down alternative comforter with red toile duvet cover. Triple bunk beds in the back and a dinette which converts into a bed, add room for five additional occupants. A total of seven can sleep over. Dinette seats four on newly recovered cushions. Kitchen contains a refrigerator/freezer, three-burner gas stove and microwave/half-time convection oven. All pots and pans are provided, as well as a coffee grinder and French-press coffee maker. Freshly washed bedding is included for the queen bed. Renters must provide bedding for bunks and dinette, unless other arrangements are made. 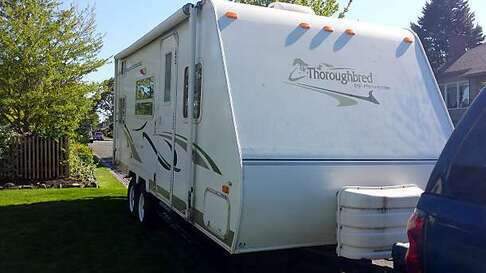 This trailer may be used as a "mobile guest house" for out-of-town relatives and friends. Towing to and retrieval from your destination of choice is available within 20 miles of Tacoma by special arrangement. Please contact me to discuss further. Red Chanticleer 16 piece dinnerware available for additional $10 for your special trip. 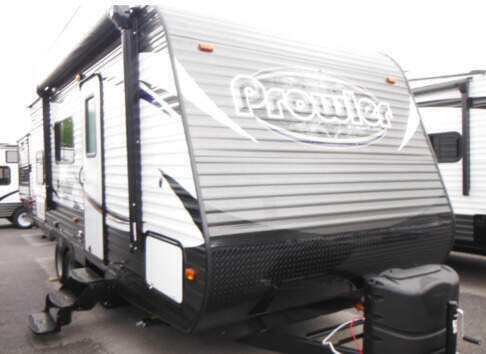 There is sleeping for six in this Heartland Prowler Lynx model 22 LX. 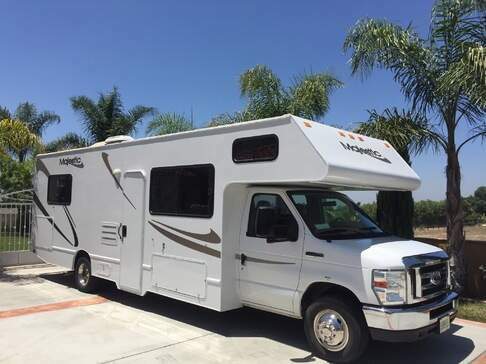 It has all the amenities you need to enjoy spending a little vacation time away from home and includes a rear bath layout and bunk over double bed, plus more. Step inside and find a queen size bed to your immediate right along with bedside storage, and overhead cabinets too. To the left of the entry door there is a booth dinette with storage above. On the opposite side of the room find a kitchen area with a double sink, a three burner range, refrigerator, and pantry for all of your canned and dry good storage. The rear left corner offers a double bed with bunk above, plus shirt wardrobe. The opposite rear corner provides a convenient bath with tub/shower, toilet, and corner vanity with sink which is a real plus when camping. No trek with a flashlight to the campground bathroom in the middle of the night here! All our rentals are supplied with pot and pans and utensils. You will definetly enjoy camping with our rentals. 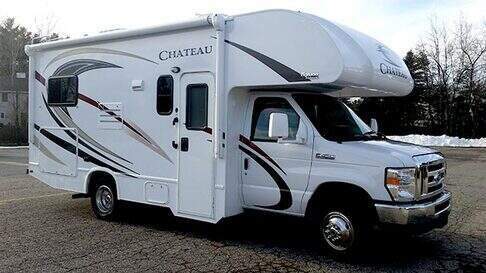 Sleeps up to 5 adults. One queen-size rear bed, one extra-long queen bed over the cab, dining table folds down into a single bed. 40" flat-screen TV with blu-ray player and fully electronic awning with LED lighting. Generous outside storage. EZ Pass included for tolls. Includes 100 free miles per day. Additional miles are $.25/mile. A very good option for couples or families. 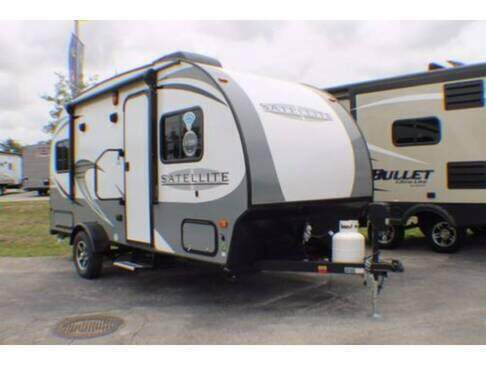 It's a BRAND NEW 2018 Starcraft Satellite 16ks. It's 21 foot long. 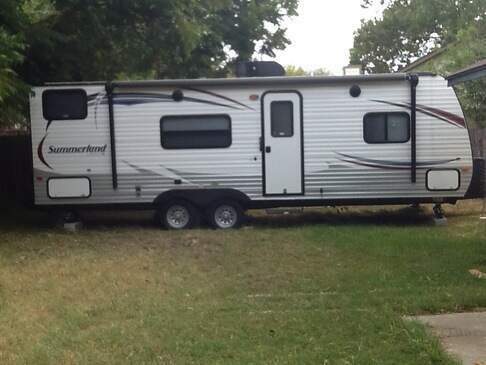 So it's small enough to park anywhere but big enough to sleep four adults. *Indoor and outdoor Bluetooth speakers. *Forks, Knives, Spoons,Plates, Bowls, Cups, Pots, Pan, ETC. This is an excellent option for budget travel. Good choice if you want to relax at the same spot a few days.